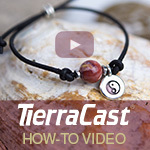 It's always good to have some backup projects when working with resin or resin clay. That's so you use up every scrap of the two part resins. 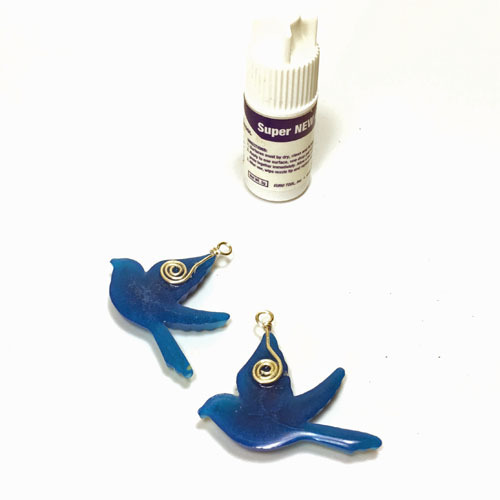 I did a turquoise chips and resin in bezel earrings tutorial not too long ago. 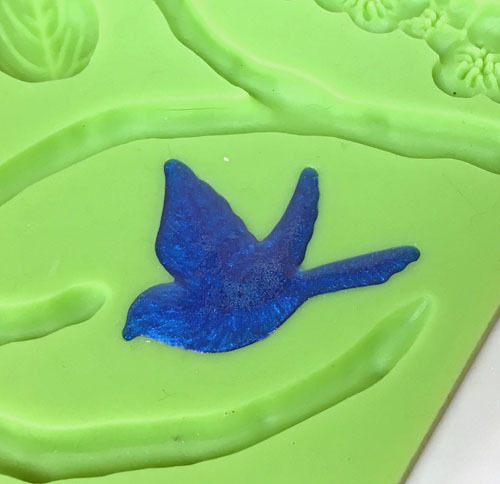 Here is another one which utilizes a silicon cake icing mold! 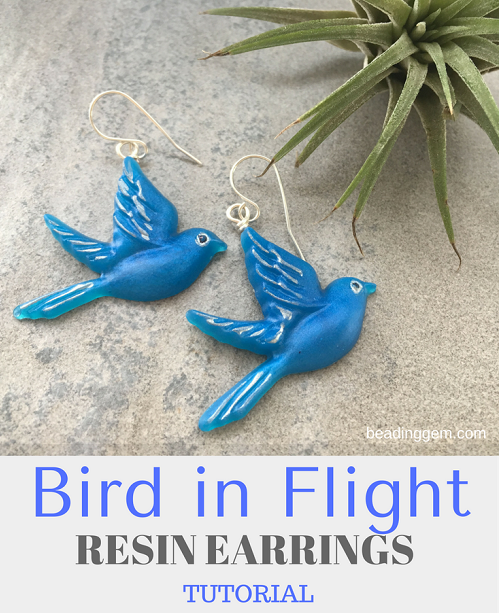 I wanted these bird in flight earrings to look like the birds are actually flying so they needed to be hung from the wing tips. As I didn't want to drill holes and mar the wings, I made custom wire bails instead. I used my favorite two part epoxy resin, Brilliant Resin from Little Windows. I've covered why I like this particular brand before - low bubble producer, colorless, longer shelf life being the top 3 reasons. 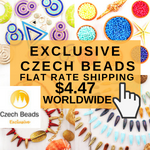 BTW They have a 20% holiday discount promotion at the moment, going on till January 2, 2017 for readers of this blog. 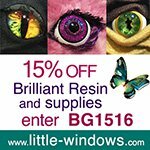 Use discount code BG20%. I really like using cake icing molds because they come in so many fun shapes. You do not have to use birds like I did. You could also make your own silicon molds if you prefer. The one I used is by Wilton. 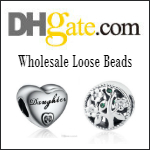 You can buy them from Michaels, Walmart or specialty stores. Remember to dedicate molds for resin and not use it for food afterwards! 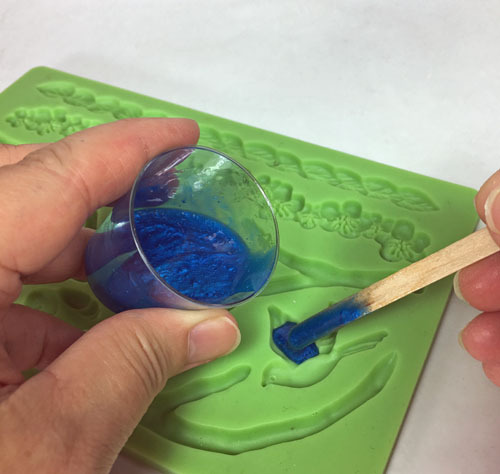 You can also use the silicon molds for other clays. 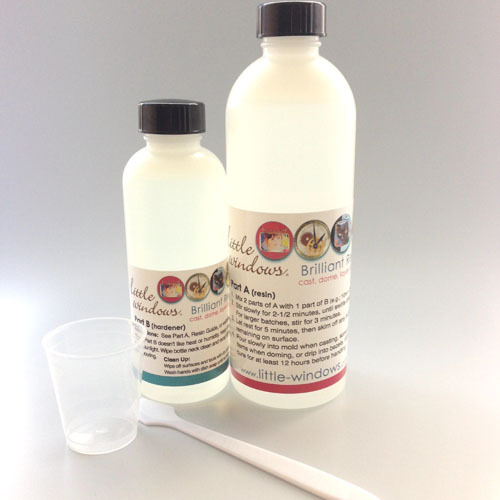 For resin or metal clay, I would use olive oil or Burt's Bee hand salve. Polymer clay people can use cornstarch or talcum powder. 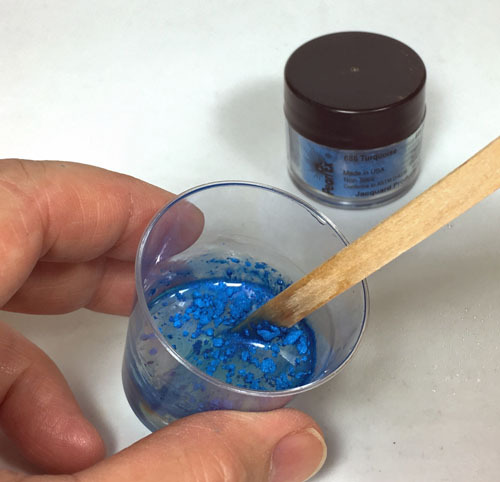 Make up the resin according to instructions and use the clear mixture first. Then if I have some leftover, I add some metallic pigments. My favorite is the Jacquard Pearl EX which comes as a set. The pearlescent effect is lovely. You do have to mix the pigment thoroughly into the resin. Then I filled the bird shape. As I only have the one mold. It takes a while before I have the occasion to use up leftover resin again. But eventually I had two birds! I filled the mold up to the brim. If you accidentally spill some, just use a cotton tip to remove it. Or wait until the resin is cured and cut/sand off the offending bits. Resin takes about 24 hours to fully cure although you can easily handle it at the 12 hr mark. Remember to cover the mold to keep dust off during the curing process. The back side is shinier than the resin which cures against the mold. The latter is not perfectly smooth hence the matte appearance. I used metallic silver and black permanent markers to highlight the raised parts of the wings and tail and to dot the eyes. I made custom bails to avoid making holes in the bird wings. 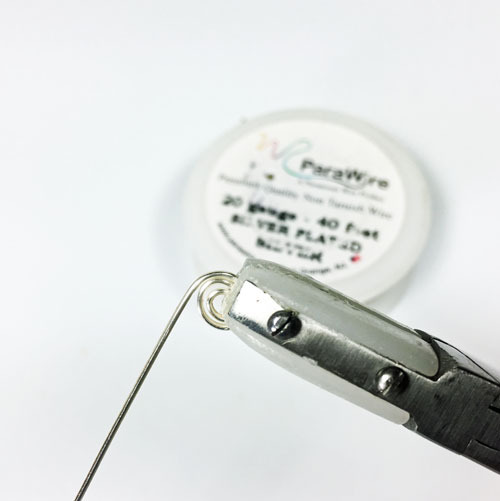 I used Parawire's Fine Silver Plated 20G Craft Wire - of all the coated wire brands, this one has the shiniest silver color. First cut a 4 inch length of wire and scroll one end. 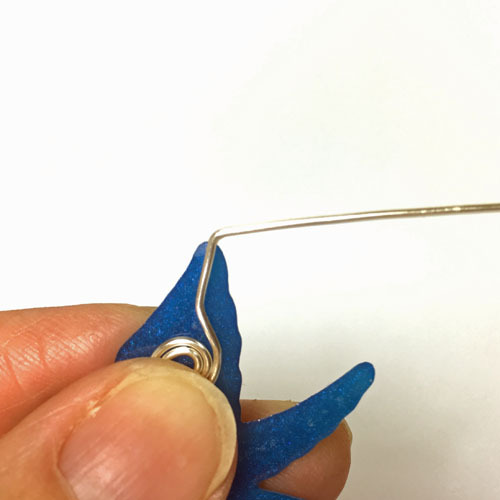 Start with the tip of the round nose pliers and make a small curl. 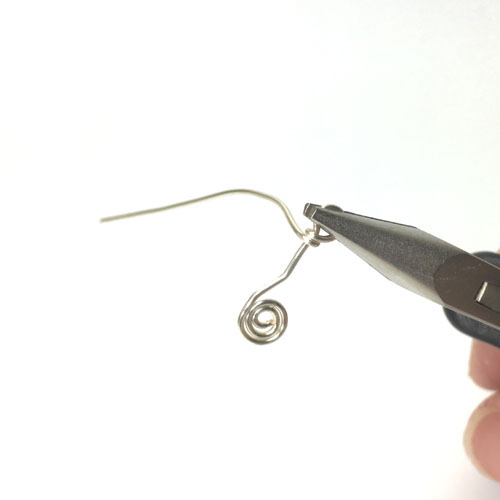 Then bend the wire around the curl as shown below. I like to use my nylon jawed pliers to hold the scroll to avoid tool marks. The scroll needs to sit further down the back of the wing so it won't show. It also has to be big enough so there is more for the glue to hold on to. I made a bend in the wire at the wing tip. Then it was just a matter of making a wrapped loop at the top. Make sure the wrapped loop is in the same plane as the scroll. I also carefully flattened the scroll so that more of it will be in contact with the resin. I am that fond of E6000 glue. I prefer to use Super New Glue . This is not the same brittle formulation as the regular super glue. 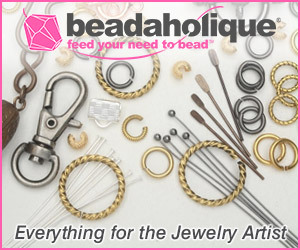 It is very strong and durable - very good for leather clasp ends. But like its cousin, you don't want to touch it as your fingers will stick together! 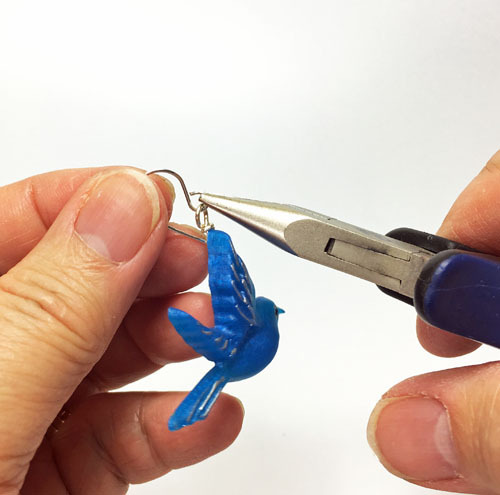 Super New Glue dries very quickly so you can hang the birds on the ear wires within a few minutes. 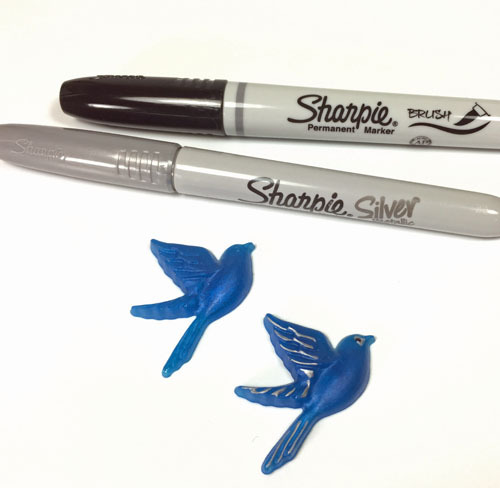 Blue birds are considered harbingers of happiness. They are for sale in my Etsy store. I used natural light my iPhone 6S with the camera+ app and the Modahaus TS320 tabletop studio. 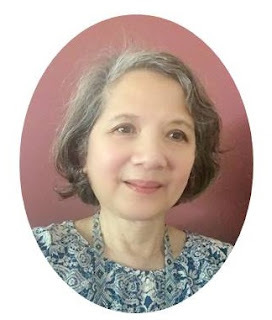 The textured background is a ceramic floor tile. 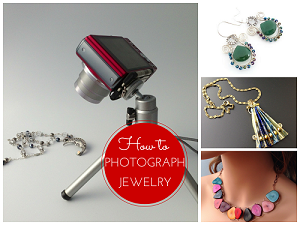 Check out my How to Photograph Jewelry Webinar (these will resume in January). So this is what you've been up to! They are really sweet Pearl! I do love my birds!! 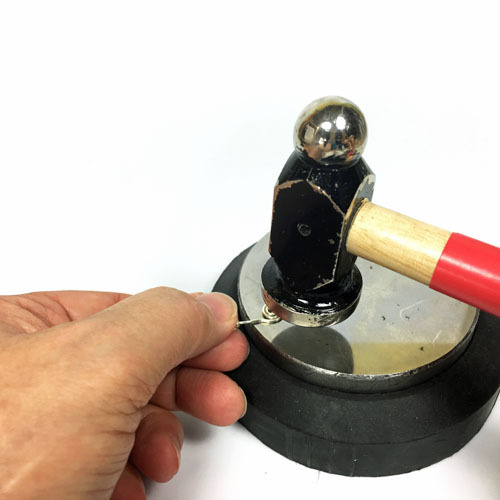 I'm wondering if you could make your special bail and set it in the mold and pour the resin over it so that the bird and bail are all one when done? Yes, that is possible with the right bends of wire. The resin has to be completely opaque. And the spiral has to be completely horizontal. Not easy to be sure when one cannot see the other side. 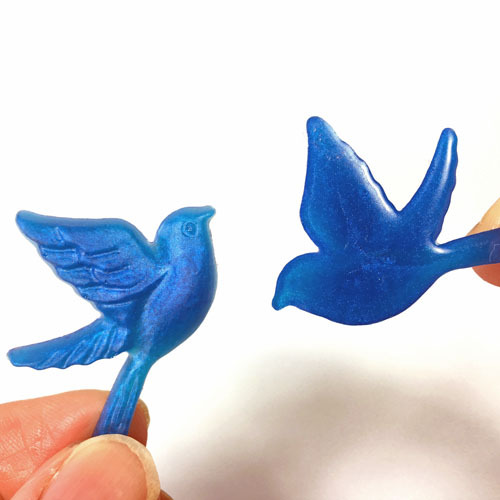 I love these blue birds! I use the cake molds all the time. My first UTEE project ever I used them for a CosPlay crown for a friend's daughter, and went from there, using them for resin, clay and more UTEE. Using them for Resin is my favorite though. I love mixing the pigments in them too. Loved this idea for the birds. Thanks Teresa! So pleased to know that you are just as big a fan of cake icing molds as I am! So many good projects are possible.